I could name one thousand comforts, but we all have days that bring news accompanied by dark clouds. I had one of those days earlier this year. No one wants to hear the words “root canal”. Having battled dental anxiety, I am worse than the average patient and formerly needed a prescription for Valium in order to sit in the treatment chair. When a root canal is scheduled, you are essentially scheduling a day on your calendar guaranteed to bring discomfort. To make matters worse, this would be my second root canal…on the same tooth!!! I recognized the signs very early on, -a small lump on the upper gum line with soreness to the touch. Nooooo! Why did this have to happen a few weeks before an important formal event?! This time around, the procedure would be done by a specialist who would save my tooth. The blessings of dental insurance and a healthcare spending account were already in place to cover the costs. 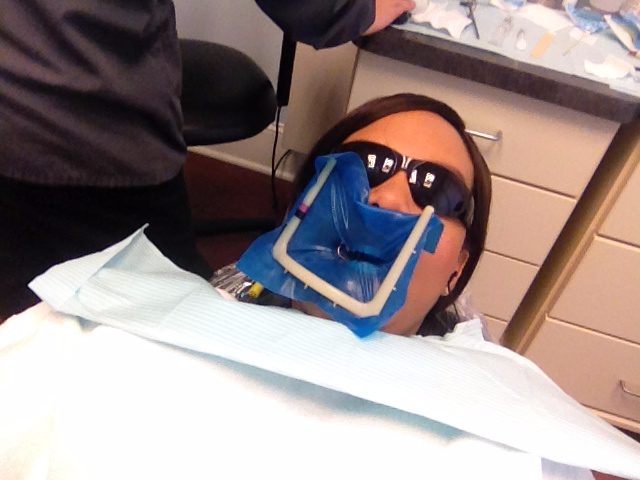 Given all of my blessings, a root canal procedure features some really uncomfortable moments. My vote for worst part is when the dental dam is placed. A close second is the invasive x-ray that requires you to hold the mouthpiece in place while sitting still. To cope, I made a special jazz playlist on my smartphone and used headphones to drown out the noise of the dental drills. Even though I was grateful to be able to treat my dental problem, it was not fun to walk through the process. I love that joy is neither dependent on circumstances, nor levels of comfort! Joy can be found in any situation. Throughout my journey thus far on both good and tough days, I have been refreshed by meditating on a favorite Bible verse. How do you cope when you feel uncomfortable?